Ginger High- Books R Us: WELCOME TO THE BLOG TOUR DEFORCE- ENTER TO WIN A KINDLE. 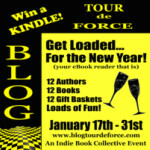 WELCOME TO THE BLOG TOUR DEFORCE- ENTER TO WIN A KINDLE. I am pleased to host Keta Diablo during the Blog Tour DeForce tour. There are some fantastic prizes being offered during the tour and while you are visiting the tour site make sure you visit all of the other sponsors and authors. In Where the Rain is Made , a decadent-looking savage captures Francesca DuVall and her brother Marsh, she spends every waking moment planning an escape. She didn’t count on the powerful draw of desire interfering with her scheme while in the clutches of the brutal Cheyenne Dog Soldiers. Ethan Gray is a curator at a national museum . . . most of the time. When he travels through time to help his beloved People he’s Meko, leader of the most revered and feared tribe of the plains. Their worlds are decades apart and yet Meko can’t resist the dark beauty he kidnapped during a raid. Violent battles loom on the horizon, but there’s only one he must win at all costs – the capture of Cesca’s heart forever. From the windswept plains of Colorado and the harsh life of a Dog Soldier to the placid life of a curator, their love was fueled by passion and kindled by destiny. 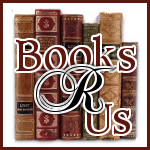 Please visit Author's website and check out all of her other books. Keta Diablo lives in the Midwest portion of the country on six acres of beautiful woodland. When she's not writing, she loves to garden and read. Currently, she writes for Noble Romance, Decadent Publishing, Phaze Publishing and Amber Quill Press. This is a fantastic book. The author did a lot of research into the history and the culture of the Dog Soldiers. The book was full of action, romance, and I could feel the character's emotions throughout the story. The way time travel was incorporated in the story was believable and and worked very well with the storyline. It was a page-turner and I could not put it down. Thanks to Keta, I can give away to 2 winners a copy of one of her books. Your choice. Check out all of her great books here. All you have to do is leave a comment with your email but you only have until Tuesday 1/25/11 at 7pm eastern to enter. The two winners will be picked by random.org. Disclaimer: I was given a free copy of the book from the author for my honest review and I was not compensated for my review. Ooh I didn't realize there was time travel involved in this title. I'm definitely intrigued now, especially as I haven't read any romances about Native American tribes. Sound's like a good book! Time travel and romance and the Cheyenne make a great story! I've read the first two chapters so far and they are exciting! Can't wait to read the rest! I don't read a lot of time travel romances, but I really enjoyed this story. Keta's book sounds like a great read! How could I not want to read this book after all of the great reviews it's received? I certainly look forward to this read. The book sounds great! I'm looking forward to reading it! Time travel romance is one of my favorite genres. Count me in! This sound like an intriguing and fun read. I'd love to win a copy. I would love to be entered. Thanks! I already have Where the Rain is Made, but I'd love a chance to win one of Keta's other titles. I'm really having fun with this Blog Tour de Force, discovering new authors and blogs!